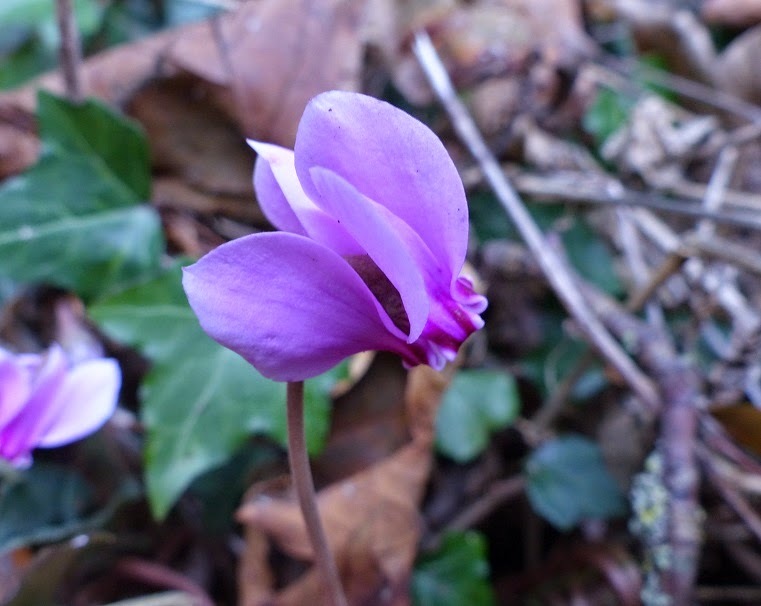 I found a small group of wonderful cyclamen growing on the edge of some woodland near Silverdale. Cyclamen are not native to the UK, but they are members of an exclusive club of plants which take my breath away when I see them. Other plants in this club include wild crocus, gentians and most tiny alpine plants. Way back in September 1989 I found wild cyclamen growing on a large boulder on the island of Thassos in the Aegean sea. It was a bulb about 3cm diameter, from which a leafless culm grew with a single, beautiful purple flower. It was hard to see where the roots went or how the plant got it's nutrients perched in it's precarious position, but it was just a stunning sight and these plants today brought back memories of that day.